“I Loved working with CLASP at Sonic Ranch last month. Tracked a rock band to tape for the first time in a few years, and man was it refreshing… Being able to listen in repro and dial the sounds to the tape was great, because you don’t get to do that in most situations. It took a couple hours to get my work flow on, but once I figured out how it works best for me, I was moving just as fast as I normally would on a tracking date with ProTools, but with the sound of tape. I didn’t get to take advantage of trying different tape speeds on that session, but you can bet that I will next time. In theory it might sound a little confusing, but in reality, SIMON TILLBROOK finds that there’s simply nothing to compare to CLASP. CLASP stands for Closed Loop Analog Signal Processor and, in simple terms, integrates real analogue tape recording into your DAW signal and workflow. The concept can be quite confusing when looking through the literature and diagrams associated with CLASP, but the system is, in practice, much simpler when demoed, with some very clever stuff going on in the background. CLASP currently allows your Pro Tools or Nuendo/Cubase DAW (other DAW support is being talked about but not available as yet) to integrate a number of analogue multi-track options from Studer, Otari, Ampex, 3M, MCI, Tascam, Scully, and Sony. CLASP is packaged in a 2U box with a front panel consisting of a large display (usually set to display tape time remaining) and five large buttons. track inputs. The analogue multi-track outputs (that come from your multi-track REPRO head) would then feed your A/D converters into the DAW system, completing the input connection configuration. Output from your DAW D/A converters then feed back into CLASP through the three DAW return DSUBs, and then finally the Monitor DSUBs get the signal back into your console’s tape returns. In addition to these audio connections, we have a Tape Control 15-pin connection to connect to your analogue multi-track to control transport, track arming, etc. You can specify which machine you are using and the appropriate cable will be supplied. XLR connections for sync in and out sit next to MIDI in and out sockets. It is through MIDI machine control and the HUI protocol that CLASP translates machine control information from your DAW to your analogue multi-track through an appropriate USB to MIDI interface. It is worth noting that you can chain up to three CLASP units together for control of three analogue machines for 72-Tracks. We have our CLASP hardware configured; now we need to sort out the software side of things. I am talking about the set-up with Pro Tools specifically, but remember that Cubase/Nuendo are also catered for. For the system to work in terms of machine routing and control, as well as delay compensation (more soon), we need to have a master fader for each DAW output used in the session. Once you have created this, you can hide these and just run your session as normal, they just need to be part of your session set-up to give routing and arming control to each specific analogue track. Within your Pro Tools session itself you need a single instance of the CLASP Bridge control plug-in to be present. This can be on any track and is used to communicate through MIDI/HUI transport and track arming information to your analogue multi-track. The CLASP Bridge plug-in is used to store delay compensation and transport control data for up to three tape machines, each with three different speed options. The display in minutes and seconds then behaves according to the selection you have made. Audio runs through the system input, recorded onto your analogue tape, and then played back via the REPRO head into your DAW where it is recorded. There is obviously a delay between heads on your multi-track, and this is the really clever bit with CLASP. 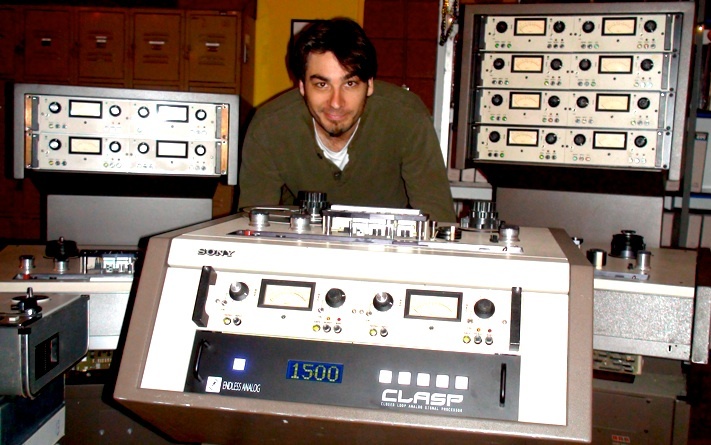 CLASP needs to learn the specifics of your multi-track machine from a control, speed, and head delay standpoint, so you run a sync setup for each tape speed for your system to learn. This is a simple button push affair, and CLASP informs you when the process is complete and successful. From then on you simply run your session as normal. When you record the audio from your analogue machine, it is recorded into your DAW in real time and, with input monitoring alongside your DAW output, you enjoy zero latency. When you push ‘stop’ at the end of your recording, CLASP time stamps and realigns your audio into the future on your timeline based on the delay compensation calculated during the initial set-up…very clever. You can select between different speeds from one take to the next, taking advantage of the different characteristics of your machine, tape, and speed at the push of a couple of buttons and, because you are storing your audio directly into your DAW system, one reel of tape can be constantly reused across multiple sessions until you deem it to be no longer of optimum use to you. The CLASP system works. It does exactly what it claims to do, and there is nothing else to compare it to. It is a system that is almost impossible to get your head around in theory but, when seen in use, it becomes surprising simple in operation. part but, done once, you are good to go. Studios with tape machines that have become idle will love the opportunities CLASP offers, bringing them back into service and offering clients an even greater sound pallet to incorporate into their projects. For those who have had the experience, CLASP lets you rediscover all that you loved about tape and its interaction with sound but which, maybe, had just slipped from your memory. 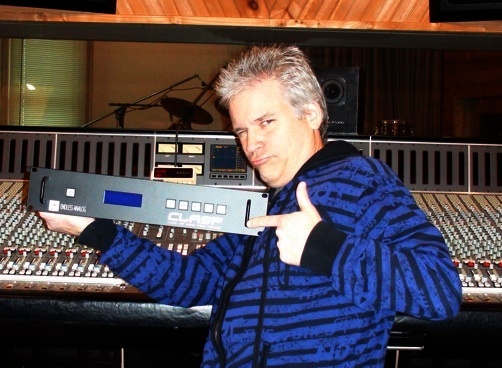 Engineer/producer Greg Collins and Kiss are using Endless Analog’s CLASP System to record the band’s next album. KISS bandleader Paul Stanley with co-producer engineer mixer Greg Collins in the studio with CLASP. 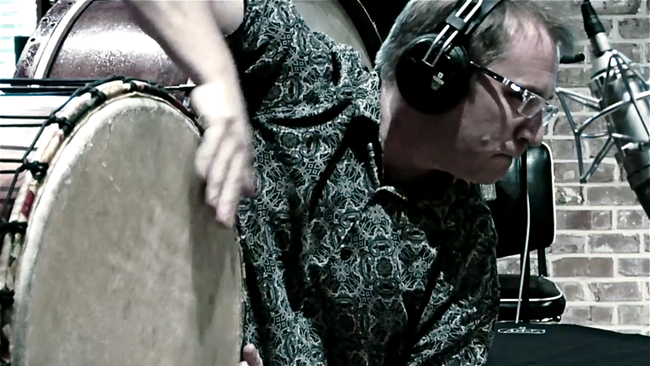 On their first collaboration, 2009’s Sonic Boom, music was recorded on analog tape and edited in Pro Tools, but the two processes were separate from each other, necessitating frequent extended pauses in recording for tape transfers. For the recording of the new LP, Endless Analog’s CLASP (Closed Loop Analog Signal Processor) system, which integrates analog tape machines into the digital audio production workflow, is allowing the band to use analog tape while tracking to Pro Tools in real time, opening up the sonic space of tape while providing the editing capabilities of the digital recording workspace. Collins recalls, “I went to Endless Analog’s web site and saw Bryan Lenox giving a pretty thorough description, and this was right around the time we were making plans for the new KISS album. We had done a majority recording for Sonic Boom using tape, and we loved the sound, but punch-ins were challenging at times, and getting the tracks into Pro Tools for editing took a lot of time. But mainly, we enjoyed the process of using tape, and everyone enjoys the convenience that digital recording offers. If there had been a way with that first record to get the best of both worlds at the same time, we would have done it. And now there is that reality [with CLASP], so we had to give it a try. This past March, I had my first experience recording to tape with CLASP (Closed Loop Analog Signal Processor). We had invited more than two dozen acts (from solo artists to seven-piece bands) to record in the studio during this year’s music festival. 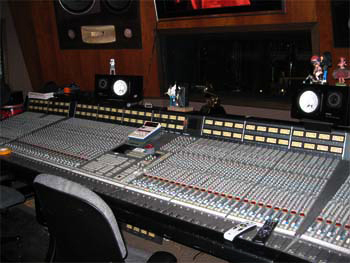 We tracked them all to an MCI JH-24 2” 24-track using CLASP to Pro Tools via Apogee AD-16X converters (Tape Op #59). We didn’t have to mess with transferring from tape to Pro Tools or change reels in the middle of a set; CLASP gave us the sound and vibe of tape (and a few bonus features) without sacrificing the advantages of a DAW. What CLASP does is simple, elegant, and powerful. It essentially turns any tape machine into an analog plug-in or signal processor within your DAW recording chain. Instead of recording and storing signals to tape, CLASP “harvests” the recording as it passes over the repro head and sends the signal on to your DAW’s A/D converters. From that point on, you’re working in your DAW (currently supported on Mac OS and Windows in Pro Tools, Nuendo, and Cubase; Digital Performer and Logic to come) just as you were before CLASP. With CLASP, your DAW becomes your tape machine transport control; but instead of stopping and rewinding the tape at the end of each take, the tape rolls continuously from the beginning of the reel to the end, before rewinding automatically for further passes. That means less stress on the deck and longer tape life. Better yet, you can control up to three tape machines from a single CLASP; since you’re not storing on tape, you can record simultaneously with two or three multitracks without having to sync the decks. CLASP also lets you record at three tape speeds of your choosing; just select the tape speed in the CLASP plug-in window. A great feature is being able to quickly audition and compare tracks recorded at different tape speeds and to overdub at different speeds than other tracks were recorded. CLASP sounds great; you can monitor the signal right off the tape repro head instead of listening to what’s been converted twice when recording straight to DAW. CLASP comes in a 2RU-height hardware unit, which includes a large tape countdown display and buttons that control tape rewind, sync mode, tape speed, post-stop monitoring, and tape speed auditioning. The unit interfaces with your preamps and DAW via twelve DB-25 cables and a pair of XLR sync cables. A MIDI cable to transmit the HUI-based data to your DAW and a tape transport cable are included with the system. Hardware hookup and loading the CLASP Bridge plug-in software is straightforward. Set up a CLASP session template with one instance of the CLASP Bridge plug-in on any track and 24 mono master-fader tracks (each with a CLASP Machine plug-in); and the system calculates and stores the proper delay compensation and time stamp. (You do have to add the proper offset when using converters not supported by Pro Tools ADC such as Apogee.) Analog monitoring is sample-accurate and zero-latency. At a two-day tracking session at Yellow Dog, I worked with my partner and resident producer/engineer David Percefull (David Cook, Phil Marshall, Brandon Jenkins) and Grammy-winning engineer Adam Odor (Dixie Chicks, Shawn Colvin, Court Yard Hounds) to record basic tracks for a few songs from my upcoming album. We listened at both 15 IPS and 30 IPS and thought the extended low end on the drums and bass we’d get at 15 was worth a little tape hiss, but I’d overdub my vocals and acoustic guitar at 30. 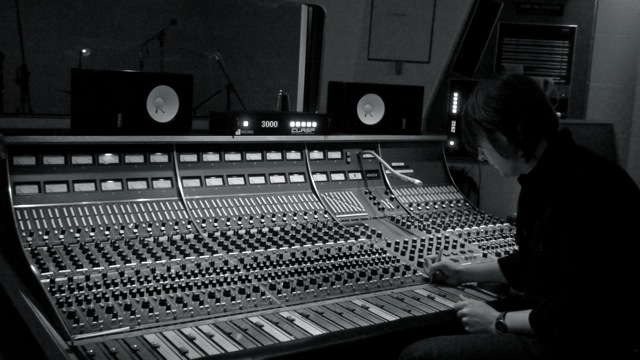 After the sessions, Adam remarked, “Once digital recording took over, many engineers became afraid of committing sounds and moving on to the next track. I spent a lot of time trying to make digital recordings sound like tape.” He appreciates the flexibility and time savings afforded by CLASP. Dave agreed, “As a businessman, it’s about getting tones more quickly. When I cut to tape, I feel like I’m getting the tone I want instead of fixing it in the mix. 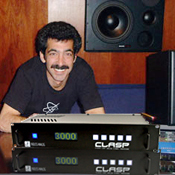 CLASP saves me time and maintains creative flow.” Bottom line – CLASP presents a good investment for the professional studio that already owns an analog multitrack recorder or whose clientele and engineers will appreciate the sound and new-found affordability of recording with analog tape again. 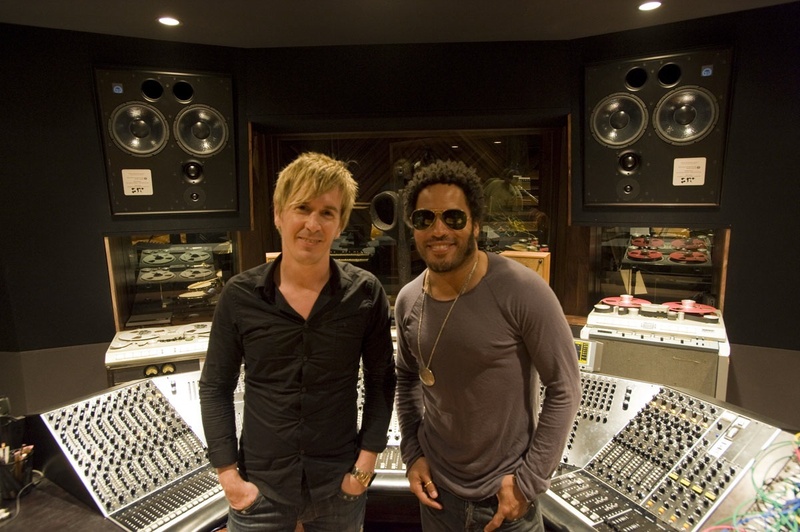 CLASP inventor Chris Estes with Lenny Kravitz in Lenny's new studio Gregory Town Sound. P.S. Tell Grandma I miss her brownies. I have always been a big fan of recording to analogue tape, for me it adds another dimension to the recording that is impossible to get with digital. It emotionally has more impact on me. All of the records I have worked on that have stood the test of time with me personally have all had tape in the chain at the recording process. As a huge fan of this way of recording I can list many advantages to recording this way! Tape gives those slight differences in tone that provide cinematic width to your stereo sounds. Tape thickens your transients providing a more meaty punch to your drums and percussion. Tape smooths your dynamics in a much more musical way than any compressor can, leaving you with more power in your raw tracking. Tape provides a sonic thumbprint to all your individual tracks that allows them to marry together perfectly in the mix. Tape forces you to use good engineering practice with your gain structure and levels. Tape laces your sounds with harmonic richness that makes your EQ feel more powerful in the mix. Tape running at 15 ips gives a huge tight low end that has to be heard to be believed. All that vintage gear everyone loves, U47s, Vintage Neve mic pre-amps etc, were all designed to hit tape and sonics of that process were allowed for in the design. Check it out! In my view, the reasons that tape has been left behind to the pro tools generation have never been sonic reasons but financial reasons and convenience. Much of modern culture makes this sacrifice, quality for convenience/cost. Imagine being able to work with the speed and editing possibilities of pro tools but still have all of the benefits of tape! I never thought this would be possible until now! CLASP allows Pro Tools to take complete control of your tape machine. Once the tape is loaded on the machine, you never need to touch the tape machine again for the whole session. You can work in Pro Tools as you would normally! How amazing is that! CLASP has a built in switching system that automatically controls how your performers can monitor what they are playing (with zero latency!) and what is routed to tape. CLASP learns your tape machine and can take control of the pro tools delay compensation engine to automatically compensate for the delays between the record head and the repro head in real time. CLASP is constantly sending information about the status of your tape machine to pro tools via MIDI and in vice versa, can control your tape machine through the cable that would normally run to your remote transport. CLASP allows you to change tape speeds on the fly mid session. Would you like to record your bass and drums at 15ips and your vocals at 30ips? No problem. This was never possible before when working just with tape. 1. CLASP routes the live mic directly to channel 3 on the console from here the vocal can be sent to foldback, this allows the performer to monitor themselves with ZERO LATENCY. True zero latency monitoring is not possible when monitoring post converter in pro tools. I have noticed a marked increase in the comfort and performance of a musician performing to a true analogue signal of themselves. 2. CLASP then also simultaneously routes this signal directly to the 3rd input of the tape machine, when you put Pro Tools into record, your tape machine automatically jumps into record also. 3. Whilst in record during the take, CLASP automatically transfers the take straight from the repro head into input 3 of Pro Tools. All delays involved in this process are corrected in real time! 3. Once your take is finished and you press stop, as soon as you disarm track 3 in pro tools and CLASP automatically then routes Pro Tools output 3 to track 3 on your console in place of the original live mic ready for playback. 4. In summary, the recorded region in pro tools has hit tape, been played out off the repro head, transferred to pro tools and been placed in sample accurate time with your existing tracks. Seamlessly and instantly! As you are working with the tape machine in a non linear way, there is no need to rewind the tape between takes. My preference is to work at 15ips on our studer A80, this allows for 30 minutes solid record time before a 45 second break is needed to let the tape rewind again, CLASP warns you when you are about to run out of tape and you can of course rewind the machine directly from pro tools without having to leave your workflow. Because of the way CLASP integrates Tape with Pro Tools, you also see less tape wear and wear on the machine itself. This allows reels of precious tape to go a lot further and minimum maintenance required! Anyway as I’m sure you can tell from this blog, I am blown away by this system and it has allowed recent sessions to run smoothly and quickly without any compromise to the sound quality, suddenly I am able to use tape on the single sessions where only a few days are booked for tracking! Here at the motor museum, we have also been having fun experimenting with different lineups on the Studer. Adding a slight high lift at 10Khz on the record lineup at 15ips and setting the bias by ear on a 40Hz sub tone Steve Albini style being my favourites! Producers and Engineers, Come and check it out! Five years in the making, CLASP (Closed Loop Analog Signal Processor) represents an exponential leap forward in hybrid analog/digital technology. It offers an easy, cost-effective way to integrate analog tape into digital production workflow by literally turning any tape machine into a DAW plug-in processor. CLASP drastically cuts rewind time and tape cost because the tape is only used for momentary throughput. This lets you use the same reel for an entire project and run the reel front to back before rewinding. CLASP even pulls some new analog tricks out of its hat, offering the ability to jump between tape speeds on the fly to audition and then print, even mixing speeds in the same project—something that’s impossible in an all-analog production. CLASP’s simple front panel provides access to essential system functions and a large countdown display. 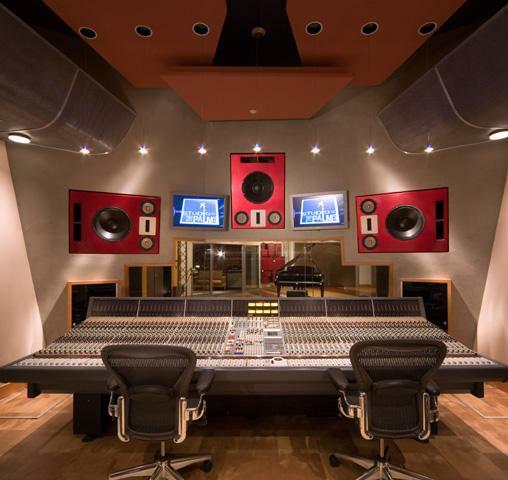 For this review, CLASP was integrated into an existing studio comprising an SSL 4056 E/G console, a Studer 827 2-inch analog machine and Pro Tools HD2 Accel running on a Mac Pro with 6 GB of RAM, Mac OS 10.5.8 and Pro Tools Version 7.4.2cs4. 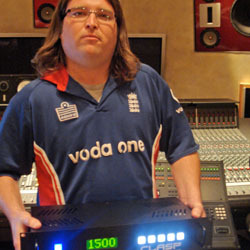 Conversion was through Apogee Rosetta 800s clocked by an Apogee Big Ben. CLASP is a well-built, two-rackspace box with a large countdown LCD and five backlit function switches for tape rewind (RTZ), sync mode (SYNC), tape speed auditioning (MON), post-stop recording (POST) and machine speed alignment (IPS). The countdown display indicates the remaining time on the reel and can be set to beep as the reel end approaches. The back of the unit carries enough D-sub connectors for 24 tracks (12 D-subs), a 15-pin machine control port, XLR sync in/outs and MIDI in/outs. There is no minimum requirement for tape tracks; CLASP will operate using analog machines capable of anything from mono up to 24 tracks and can be daisy-chained for up to 72 tracks. Add an optional optical sensor, and an older machine (without a 15-pin transport control port) can also be used. The key to understanding CLASP (see the signal flow diagram) stems from its signal flow and how the system time-corrects audio. Analog signals from your mic preamps, console or your DAW are recorded through CLASP to tape, then immediately routed off the playback head into your workstation because the deck runs in repro. Due to the head gap delay between record and playback, CLASP cleverly uses plug-ins to time-correct and re-time stamp the audio. The system is sample-accurate: It doesn’t need SMPTE timecode for sync, so all 24 analog tracks are simultaneously available for recording. It’s important to understand how CLASP accomplishes access to the Pro Tools software. CLASP uses a USB-MIDI interface and HUI protocol for machine control and track arming. For Pro Tools delay compensation to work with the CLASP hardware, it requires 24 mono master faders in the Pro Tools session, each carrying a CLASP plug-in. I used Apogee converters, which—among others—don’t correctly communicate with Pro Tools Delay Compensation. To fix this timing mismatch, an offset number for the Rosetta’s delay was added into the CLASP Bridge plug-in. (For more on working with Pro Tools delay compensation and third-party converters, go to mixonline.com.) These workarounds are unnecessary for users with Cubase, Nuendo or Logic systems, as CLASP can easily gain access to MIDI Machine Control. Initial setup was simple. CLASP integrated via the patchbay using TT-to-D-Sub harnesses, plug-ins were loaded into the system and a CLASP-specific session template was created. The 24 master faders used for time correction were hidden via the Show/Hide list, making the session look like any other. Whether the session was from scratch or pre-existing, importing the needed CLASP session components was easy. D-sub connectors give you the ability to record up to 24 tracks through CLASP. I spent the first day with CLASP in a session recording a six-piece band. Drums were in an iso booth while the rest of the players were taken direct or miked in the large main room. Cue mixes were built from the CLASP outputs, which offer the same listening experience as hearing input on the analog machine: zero latency, before the converters. Levels were set, and the session ran from Pro Tools with CLASP running in the background. After the initial tracks were cut at 30 ips, new Pro Tools playlists were created on all tracks and another pass was run at 15 ips. The difference was remarkable. The bottom end on the kick, low toms and bass was thicker, with more saturation at the top end and, of course, more tape noise. After some discussion, the 30 ips pass was kept and the bass and vocal were auditioned and re-cut at 7.5 ips. This particular singer’s voice benefitted from the lower tape speed, and the bass took on a richness and symbiosis with the kick that was not apparent at the higher speed. Because of the mix of the speeds, the noise wasn’t as intrusive as it was when the entire track was cut at the lower speed. Another session involved re-cutting drums on an existing track. The CLASP-specific plug-ins and master faders used in the previous session were imported into this day’s session, and I was up and running in no time. Levels were set and I put CLASP into Demo mode to audition tape speeds. As I was listening straight off the uncorrected repro feed from the machine, it necessitated killing the cue feed to the drummer. While the drummer was playing, I could drop out of Record on the analog machine, change tape speeds, engage Record and hear the difference. I can’t say enough about this feature. It lets you audition the “effect” and change levels to tape accordingly. It’s much like changing the settings on an EQ or compressor on the fly. Once out of repro-only mode, I could sync to the track and re-cut the drums. The drums were first cut at 30 ips, then I created new playlists for the second pass and cut at 15 ips. Just for fun, I then dropped down to 7.5 and did the same. CLASP’s front panel buttons make this a simple operation: Choose the desired speed on CLASP, change the machine’s speed and you’re off. Once the drums were cut, we started experimenting with the rest of the track—which had been cut directly to Pro Tools a year before. I created an ADT (automatic double tracking) effect on the vocal using the interface. This is similar to how it was done in the 1960s: using a secondary tape machine set at a different speed. I didn’t need a second machine because I re-recorded the vocal to a new track through CLASP at a slower speed. The difference in the head gap created a great double. I tried a few different speeds until I nailed it and moved on. Another great trick? I took some interesting guitars that unfortunately had a nasty digital edge to them and tamed them down by re-recording them through CLASP. This corrected the edginess, giving the tracks a roundness that was easier to tuck into the mix. This particular technique was an “a ha!” moment for me, seeing the possibility of tweaking the sonics of tracks not previously recorded to analog tape. The only problem with CLASP is that it’s harder to describe than to use. At first, it’s tough to grasp the concept, but once CLASP is in your session, the wow and wonder of your first encounter with pro audio is revived. During sessions with live musicians, I was easily jumping between tape speeds, auditioning and changing levels to tape based on what I heard, then printing that directly to Pro Tools. It was easy to re-record original digital tracks back through CLASP for color, create ADT, run tests at different tape speeds—all while having a blast. The system quickly reminds you about the beauty of tape’s effect on transients, low frequencies, cymbals, vocals, guitars and more, especially at slower speeds. The workflow was sonically and functionally inspiring because CLASP puts the tape machine behind the curtain, letting the session run just as it would with the DAW alone. Like other early releases of new technology, CLASP is costly. However, the payoff for home and commercial studios with tape machines in mothballs, or those looking to put their own unique creative stamp on their work, is worth it. And the timing is perfect: The used audio gear market is rife with tape machine bargains from 2-tracks on up. Plus, the arguments that good tape is no longer available or too costly no longer hold water. I bought 10 reels of RMGI 900 2-inch and the formulation is as good or better than any BASF, Ampex or Quantegy tape I’ve used. There was a time when this wasn’t true, but the market has reset itself and there’s plenty of good tape out there from ATR and RMGI. In all my years of writing product reviews, I’ve gotten excited about great products from time to time, but this is something more: It’s a concept whose time has come. If you get a chance, try CLASP for yourself and rediscover your love of sound. 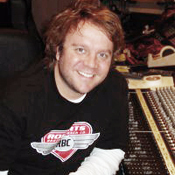 Kevin Becka is the technical editor of Mix. 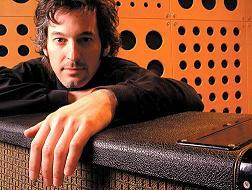 Producer, songwriter, musician, engineering-whiz — John Fields defies categorization. He can’t be musically pigeon-holed, either. Whether it’s rock, pop, electronica, funk, or some combination thereof — as long as it’s high quality — Fields is ready to make music. 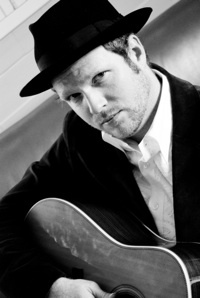 In the past ten years John has worked with nearly 100 different artists.
" CLASP sounds RAD, I’ve always loved the analog sound and have been using plugins for a while to emulate that. They do an ‘OK’ job, but at the end of the day there is nothing like cutting to tape! Some of my bigger records that I’ve done, we always cut to tape and then we’d transfer over to Pro Tools to do further editing and overdubs. But with these records, when I listen back, they just sound great! There is a certain fullness to the sound. And now with CLASP, you don’t have to use so many plugins now that you are going through CLASP and tape. And it used to be a big hassle to lock up your tape deck with Lynxs and SMPTE and all that stuff and you would have to wait maybe twice as long after you did a drum take. With CLASP, now all that is over with. " "Dear Endless Analog, Thanks for making such an amazing product with CLASP. It was a very important part of the new Taylor Swift album Speak Now. Having the tape machine rolling during recording inspired our creativity and captured sonic nuances that would have been otherwise missed. Vocals, electric guitars, and bass, are just a few of the instruments that we used with CLASP. You guys rock. Peace to you, and tape to all." Although it’s hard to resist the convenience of a digital audio workstation, nothing beats the way analog tape colors sound. It’s a format that makes guitars, bass, and drums sound huge, while smoothing out the voice like butter. It’s common for engineers to record to multitrack tape to reap the benefits of tape compression and tone, then dump the tracks into a DAW for tweaking and mixing. Unfortunately, tape is an expensive format to use in terms of the blank media—reels can cost as much as $250 each. Considering that you get only 15 to 30 minutes of recording time per reel (depending on tape speed), if you do multiple takes of each song, it can amount to quite an investment. The million-dollar question is, How do you get the warmth that tape offers, while maintaining the convenience and lower media costs of computer recording? Nashville-based engineer Chris Estes has an answer. 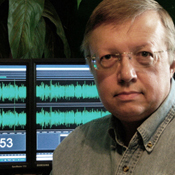 His company, Endless Analog [www.endlessanalog.com], has created CLASP, which, in a nutshell, bounces audio signals off of analog tape before going to disk, but without latency issues. CLASP, which stands for Closed Loop Analog Signal Processor, combines a 2U hardware matrixing device with a native plug-in (VST, AU, RTAS) interface that, together, routes audio signals through your tape machine—onto and immediately off the tape itself—before sending the results to your recording software. The hardware box provides the no-latency monitoring environment, while the system time-stamps the audio files so that they are sample-accurate with the other tracks in the session, correcting for the amount of time it takes the audio to go through the entire signal path. If you’ve used a tape deck, you know how much time is spent rewinding and how much wear that puts on the tape. With CLASP, you can play the tape from top to tail without multiple rewinds in between, so the tape lasts longer and you can reuse it for other projects. Wouldn’t you rather amortize the price of that $250 reel over several album projects? 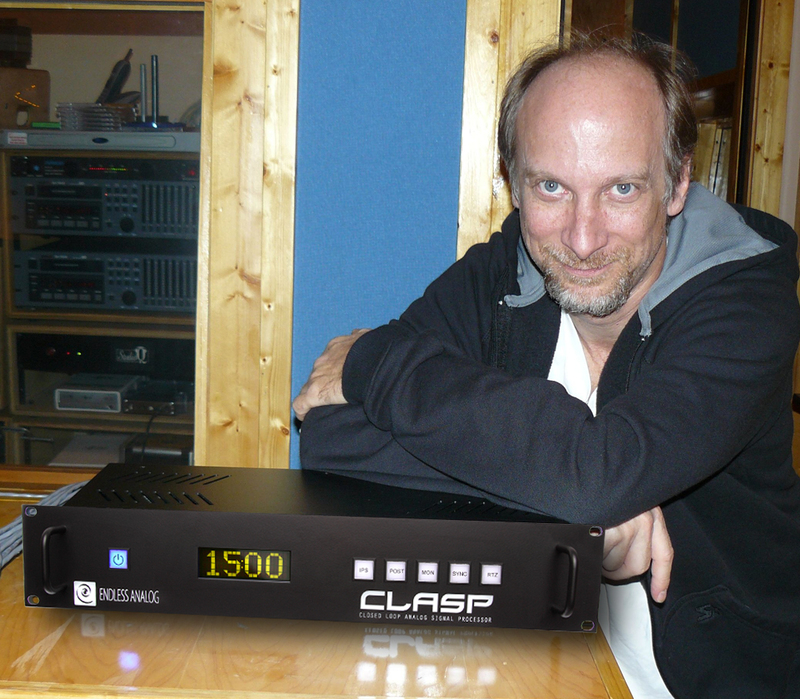 The hardware/software integration behind CLASP is ingenious, from the signal flow to the control system. The input signals coming from your board are sent to the CLASP hardware unit where they are immediately split: one set of signals goes to the tape machine, the other set goes back to the monitoring inputs of your board (see Fig. 1). It’s these latter signals that give you the no-latency monitoring. Consequently, as you record, you’re not hearing what’s coming off the tape machine: You’re hearing the sound from the board. You can certainly audition the sound from the tape when you’re setting levels, but you’ll hear the straight analog signal as you’re tracking. A single CLASP hardware unit handles 24 tracks, with analog I/O on D-sub connectors for input, tape send, DAW return, and monitoring. The system supports tape machines by Ampex ATR, Otari, Studer (800-827), 3M, Sony, Tascam, and MCI (JH-series), and an optical tape sensor is available for synchronizing the system with other playback machines. From your DAW, you use the CLASP Bridge plug-in to control everything. Among other things, the plug-in keeps track of how much time you have left on the tape, and if you are not paying attention and the tape runs out, CLASP automatically rewinds the tape for you. The plug-in window and the hardware unit have countdown timers that display the amount of time remaining. Remarkably, if you change your tape speed, the counter updates automatically. The ability to combine different tape-speeds in a single session is one of the interesting benefits of CLASP. In general, the faster the tape speed, the higher the fidelity. On the other hand, the slower the tape speed, the more old-school the sound becomes—rounded transients, beefier bass frequencies, and a bit more oomph. Because everything is, ultimately, sent to disk when using CLASP, you can do a recording pass of the vocals at, say, 30 ips (inches per second), and then do the lead guitar at 15 ips to fatten the tone. 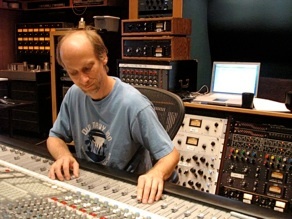 During the session at Studio Trilogy, Estes demonstrated the sonic differences that changes in tape speed make and the results were remarkable. It’s the kind of sound we all want from plug-ins, but never seem to get. Mind you, the technology isn’t cheap. 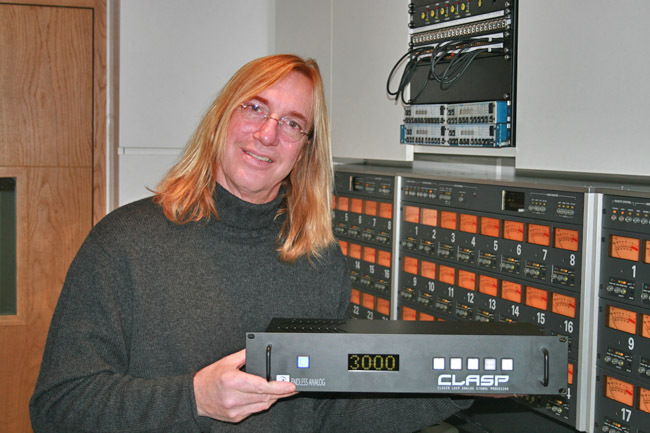 The street price for a CLASP system is $7,495, which isn’t surprising because Endless Analog is a U.S.-based, boutique pro-audio manufacturer, and CLASP systems are built by hand in short runs. “CLASP is a high-end piece of gear,” Estes explained to me. 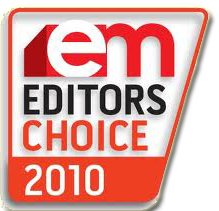 “We use the highest quality components available to support features such as our non-switching, dual-linear power supplies and our transparent audio monitoring signal-path. For less than the price of a Pro Tools TDM system, you get a device that eliminates the time you’d spend transferring everything from tape to disk, while increasing productivity and drastically reducing tape costs. Imagine telling prospective clients they can record to tape, but they’ll only need one reel. 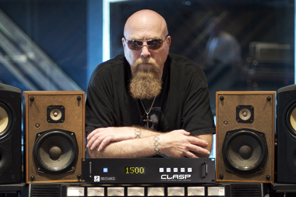 Check out Kevin Becka’s excellent review of CLASP at mixonline.com, where he goes into greater detail about the features and takes the system for a spin at the Conservatory of Recording Arts & Sciences (CRAS) in Tempe, Arizona. But you really have to see and hear CLASP in action. Check the Endless Analog Web site for upcoming demos, which no doubt will include Mix Nashville in September and the AES convention in San Francisco this November. Multi Grammy and Dove Award winning legendary contemporary Christian recording artist Michael W. Smith talks about his new upcoming album and his experience of making the recordings with Endless Analog’s award winning new CLASP analog / digital hybrid recording technology! 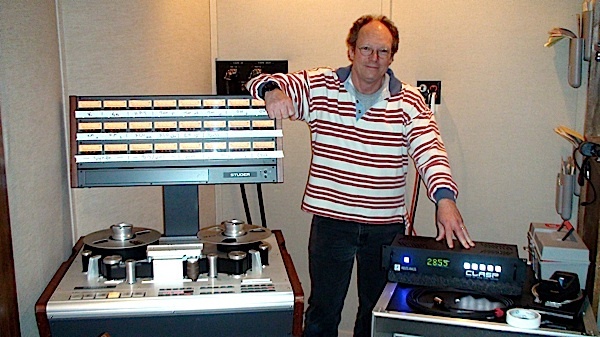 "It had been SO long,I had forgoten how AWESOME recording to analog tape was. The CLASP will revolutionize recording as we know it today. Dust off those old Analog machines and get some TAPE. There Ain’t Nothin like the Real Thing ! No PlugIn’s needed,Just CLASP . Thank YOU CHRIS and AMY ESTES for changing recording history." 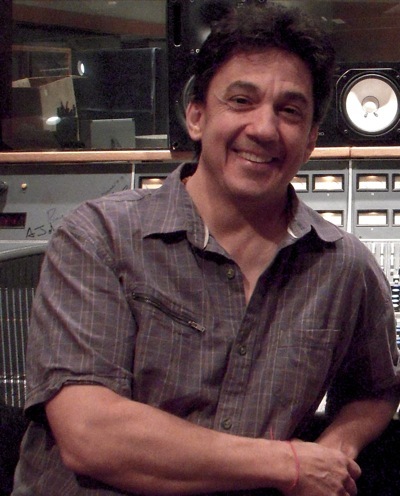 World-Renowned Grammy Winning Engineer and Producer. “For anyone seriously interested in making a great sounding record, analog is the way and with CLASP there is no waiting for tape to lock up which means you can work at the speed we’ve become accustomed to on DAW’s. CLASP works invisibly in the background allowing you to capture all the great warmth off the tape but without impeding the workflow and since you’re not saving endless out takes of tape, CLASP is easy on the budget as well. We just used CLASP to layback 5.1 and stereo mixes for the DVD re-release of Dire Straits, Alchemy live album. It worked perfectly for that. We were able to use Mark (Knopfler’s) 2″ eight track with CLASP and yet maintain perfect syncronization with the video. "CLASP is amazing, it makes me sound like I know what I’m doing!" "CLASP, so simple even I can use it!" "It’s amazing how well CLASP has bridged the gap between tape and DAW. It’s perfect enough that it has completely ended the analog vs. digital debate as far as I’m concerned. I was getting sick and tired of what I heard when going all digital. I’ve always loved the feel and sound of tape, but I was never about to go all analog in a commercial facility, especially when clients weren’t willing to pay extra for tape. Yet I wanted music to sound good, and I really disliked the extra work I needed to put into digital recordings just to tame the pins and needles 2 dimensional sounding 1′s and 0′s. Now I can get back to just making music again. 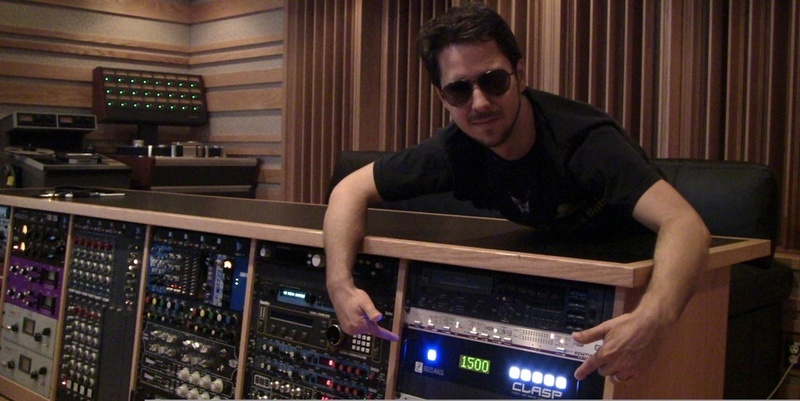 CLASP has changed my life and does so for everyone who records in our studio." "It’s great to have the analog vibe back! CLASP brings back all the great things we love about analog sound but without all the hassles. It’s easy, fast, sounds great and a very well thought out system. I dig it!" Lenny Kravitz new private recording studio on Eleuthera Island, Gregory Town Sound, is a literal vintage analog studio paradise. The new studio uses CLASP with multiple analog recorders in conjunction with Pro Tools 8. T-Bone says they love the warm sound analog provides and as digital recording came on strong they found themselves impressed with the convenience of Pro Tools but never felt the sound was as good as what they could get with analog tape. Moving from one tape machine to the other, while recording, is yet another benefit to the CLASP technology. With the use of CLASP, analog tape recording is no longer a thing of the past. CLASP integrates easily and efficiently into any studio’s workflow, allowing users to achieve the warm and expressive sound of real analog tape while recording and editing with the speed of a DAW. "Often times adding technology to a session makes my life more difficult, not easier, so I was naturally skeptical, but rest assured: CLASP works flawlessly in the background. It didn’t surprise me at all to learn that the inventor & designer is also a session player- CLASP keeps the session workflow in mind and has several features that only someone who does sessions would think of. Kudos! I grin ear to ear every time my analog deck drops into record when I hit a SPACE BAR!" 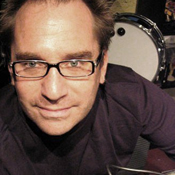 NASHVILLE – Multiple Grammy winning engineer John “Yosh” Jaszcz was asked to do the honors of recording emerging pop/rock/funk band Like Candy Red in Nashville at Quad Studios. 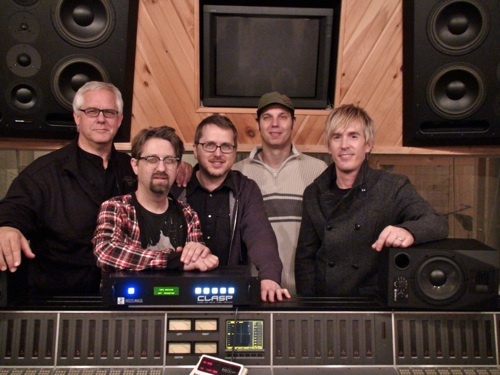 The collective producer group known as Zodlounge are long-time friends of the former president of Nashville AES, Yosh. They are currently part of this developing project that features the amazing blended vocals of sisters, Bree, Lyndee, and Hailey Collier. They were eager to try out CLASP as it fulfilled their desire for an analog sound. Yosh found access to the product as they were intrigued that it claimed to offer the ease of using a digital recording workstations (in this case Pro Tools) while cutting on tape. "What surprised me was how easy it was to use and integrate into our session. We were on a strict budget as this band is in development so we literally couldn’t afford anything to slow us down. Yosh said. " Quite the contrary, we were able work fast and the tracks sound unbelievable! It has been a really long time since I have cut tracks that have that extra warmth you can only get cutting to tape. Brett Vargeson, part of Zodlounge, echoed his friend’s sentiments admitting he was mildly skeptical if CLASP could live up to the hype. "I am sold! It is an incredible addition to our studio. I waited about a week after the sessions at Quad and I just had to have it in my studio to finish up overdubs! "This is the greatest thing to come along since I can remember…. TAPE AGAIN!! …it works seamlessly. It makes ‘the difference’ more than any plug-in, or any other piece of outboard gear, I can think [of]. Now I am only bummed it’s not in every studio I visit. I just recommend it hands down… especially of you already have a tape machine and you do any form of rock. I used to love tape… haven’t had it in a few years, and I love it. This made using it with pro tools so easy and kept the work flow smooth as well as making it so you only need one reel per project." "I am just blown away by the CLASP, I am definitely getting one. Endless Analog has brought the standard of audio back with this box." Taylor Swift, Bon Jovi, Amy Grant, Keith Urban, Rascal Flatts, Bob Seger, Carrie Underwood. “I tracked guitars with CLASP last week. It works so well I actually forgot there was a tape machine running.